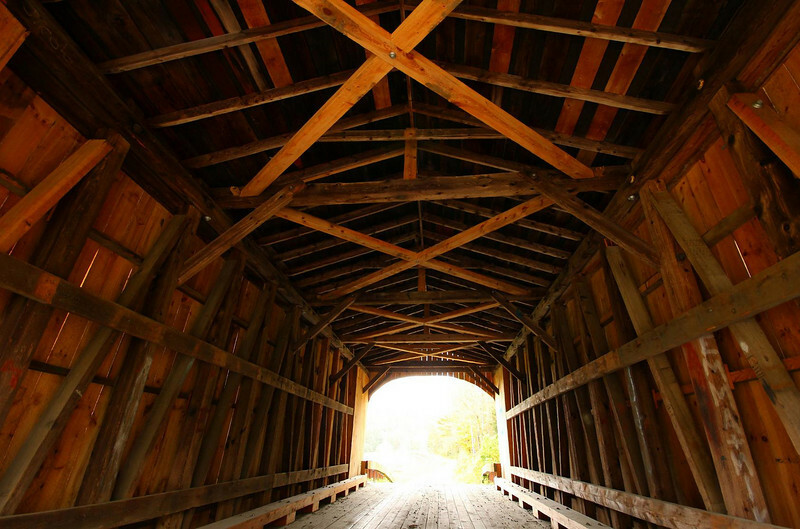 A variety of truss designs were used on the covered bridges. All the designs have names, such as this multiple kingpost. This is the Kingsbury Bridge in South Randolph, Vermont.